Berlin. Christopher Street Day (CSD) Pride Berlin is there for the gay scene a demonstration since the first edition in 1979. Solidarity with queer people around the world must always be a subject for the Berlin CSD. The Berlin CSD Pride is the day that: the community is visible in all its diversity, which their claims get faces, the participants do community, to be held at the joint of earlier successes, and from the protesters get motivation for their year-round comming. There have been though additional CSD associations with their own parade previous years . With the Stonewall concept of the oldest CSD associations , there are now four parades this year. We spare you the complete history and dozens of press messages around this topic. This year we have another edition . Because of the World Cup football event , the routers and celebrations are adjusted. 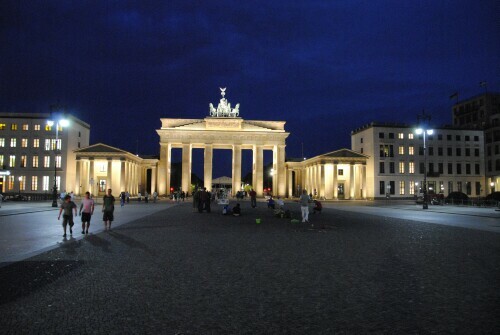 So the 17th June Street towards the Brandenburg Gate is blocked by the fansite for the World Cup. The 4 parades : The first traditional parade goes through the Kurfürstendamm at 12:30 h (12.30AM) to the Victory Column. The route of the parade alternative 'Aktionsbündnis (Coalition)' no longer leads as originally planned and in the current Victory Column (Siegessäule) but be started at the Homo Monument and along the Tiergartenstrasse with starting point on Axel-Springer-Straße at 12:00 h (12AM). The other CSD Kreuzberg goes on route at 16:00 (4AM) am Oranienplatz. After the great success of last year there is also the tradition of the Dyke* March's continued in Berlin and at the startpoint at Oranienplatz at 19:30 h (7.30AM). You can not say that there is nothing to do in Berlin that day. Then there are the festivals and parties everywhere in the halls and bars. The Forum calls on the CSD ssociations to suspend its Stonewall concept for 2014 after intensive discussion with the gay community and to decide whether one can implement for the concept with the community in 2015 CSD.